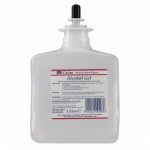 Alcohol Hand Rub - 1 Litre Cartridge For Use With Wall Dispenser ..
Alcohol Hand Rub x 500ml with Free Standing ..
Azospray 500ml Contains solution of 70% w/w alcohol. 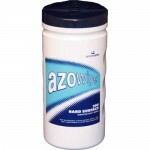 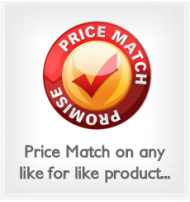 Proven against MRSA, e-coli & range ..
Azo Wipes Contains solution of 70% w/w alcohol. 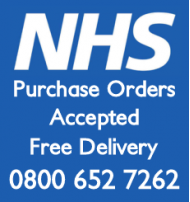 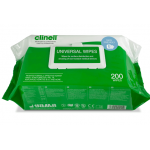 Proven against MRSA, e-coli & range of other ..
Biohazard Spill Kit (Large) ..
Biohazard Spill Kit (Midi) ..
Clinell Universal Sanitising Wipes Pack of 200 Clinell Universal Sanitising W..
Cutan Gel Hand Sanitiser - 1 Litre Alcohol-based gel rapidly disinfects physically clean hand..
Cutan Hand Sanitiser Wall Dispenser for 1 litre cartridges ..
Cutan Hand Wash Dispenser 1 litre ..
Cutan Moisturising Cream An effective moisturising cream to help keep hands in optimum condi..
Cytotoxic Drugs Spill Kit ..
Deb CUTAN Moisturising Cream Dispenser ..
Haz-Tab diluters are designed to make it simple and safe for ward staff to make up the correct st..
Hibi Liquid Hand Rub 500ml The combination of Chlorhexidine (binding to the skin) and alcohol..
HIBISCRUB 5 Litre is an antimicrobial preparation for pre-operative surgical hand disinfection, a..
HIBISCRUB is an antimicrobial preparation for pre-operative surgical hand disinfection, antisepti..
Hydrex Derma Spray 500ml. 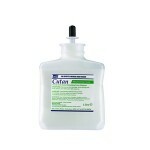 Hydrex Pink DS Spray 500ml A Pump action Chlor Hexedine Spray ..
Hydrex HS Hard Surface Trigger Spray For the rapid disinfection of all hard surfaces inc..
Hydrex surgical scrub 500ml is an an economical alternative brand of 4% Chlorhexidine Glucon..
For disinfection and cleaning of surfaces, treatment chairs, couches and medical apparatus insens..
Perasafe Instrument Sterilant Perasafe Instrument Sterilant is a fast-acting, biodegradable s.. 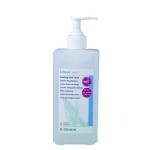 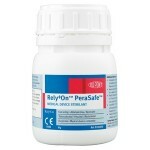 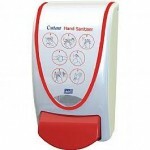 Practice Hand Hygiene Pack 12 x 50ml Tottles, 4 x 500ml Hand Rub ..
PRESEPT Disinfectant Products take hard surface disinfection beyond the confines of hypochlorites..